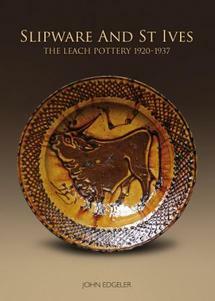 After Michael Cardew established his own pottery at Winchcombe Gloucestershire in 1926, he initially produced tableware of a wide variety primarily for his local domestic market. 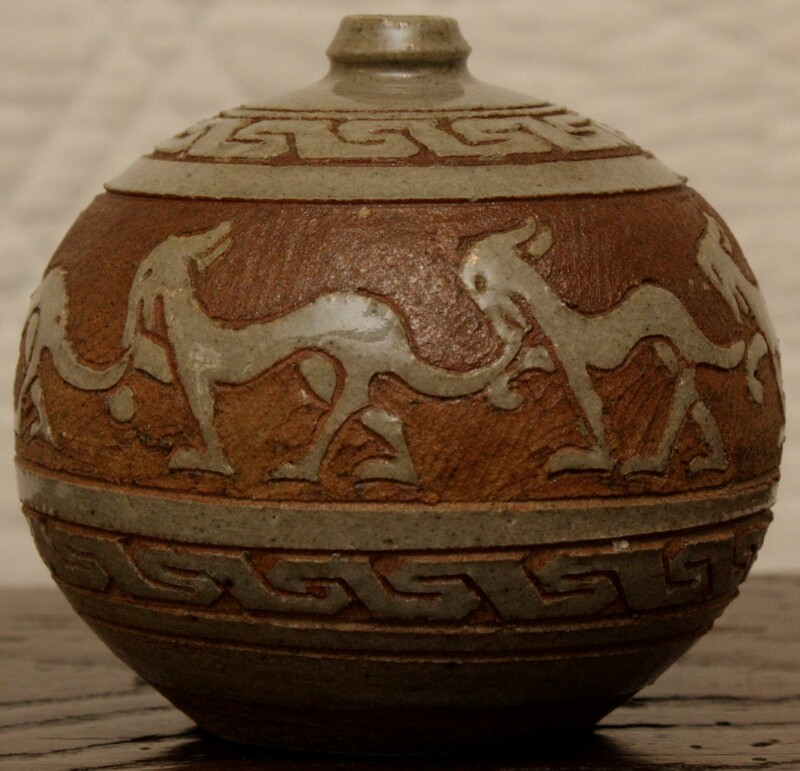 His access to the London contemporary ceramics gallery scene was necessarily limited, dominated as it was by stoneware pots inspired by eastern traditions, and made by Staite Murray and Leach. 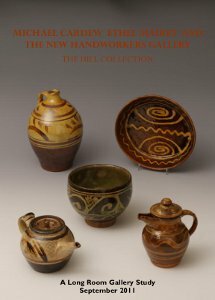 It was Philip Mairet who through his own London outlet, The New Handworkers’ Gallery, gave Cardew his first ever one man show in the autumn of 1928. 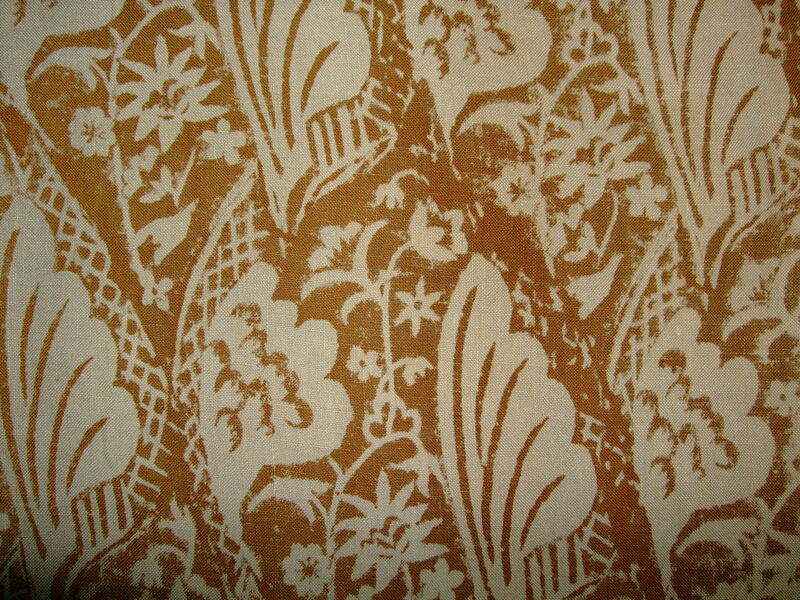 Philip’s wife, Ethel Mairet, the leading craft weaver of the inter war period, had long been a fan of functional slipwares as a medium, and she maintained a small Crafts Gallery in a room of their Sussex home, Gospels, in the downland village of Ditchling, which was also the home of the internationally famous Craft Guild community led by the sculptor and letterist, Eric Gill. 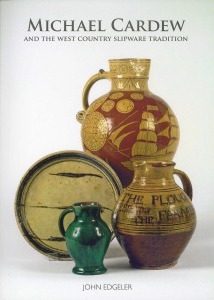 The Gospels gallery included textiles, woodwork and glass, as well as pottery by Michael Cardew and Bernard Leach. 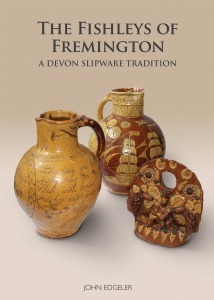 Perry and Mary Hill, whose collection of Winchcombe slipwares form the prime focus of this study, had a house built for them in Ditchling by an arts and crafts architect, George Chettle, a business partner of CR Ashbee of Guild of Handicraft fame. Their new home, Guntsfield, was completed in 1930, and when the Hills came to choose their fixtures and fittings, their taste was dominated by the vogue of the period, and as well as furniture and metal wares by individuals associated with the wider Ditchling craft community, they chose the work of Michael Cardew for their day to day and best pottery. The best of their Winchcombe table wares were carefully used and appreciated over the years, remaining with the family after they emigrated to New Zealand shortly following the end of WW2. Following the death of their son Martin in 2005, his widow Sallie Hill ultimately decided to dispose of the family collection, and through bidding at auction, the Long Room Gallery were able to acquire the majority of such pieces in early June, which were finally repatriated to Winchcombe in July 2011. 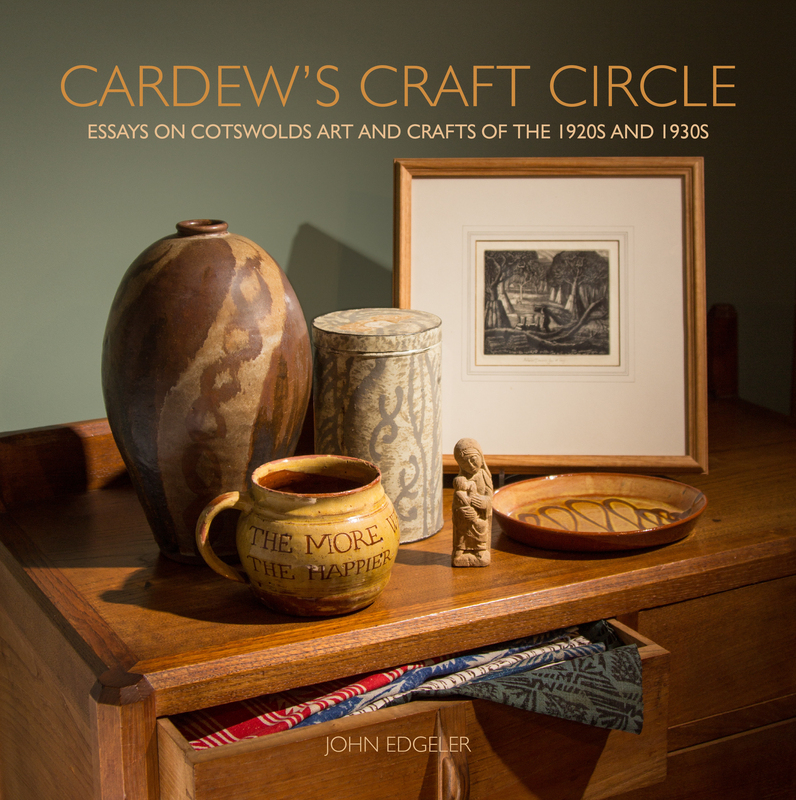 This Monograph provides photographs and full descriptions of their Cardew slipwares, complemented by an overview of the circumstances of their original purchase and by largely unpublished archive material relating to the Mairets and the Hill family.